We are delighted to welcome our nurse practitioner Courtney Allford to the team at Two Rocks Medical Centre. 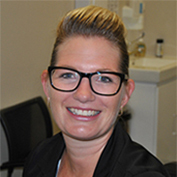 She started her nursing career in the Royal Australian Air Force and has experience across many areas and specialties including Acute Care, Emergency, Paramedicine, Residential and Community Aged Care. As a nurse practitioner Courtney is able to diagnose and treat many medical conditions and will be available to see walk in patients at Two Rocks Medical Centre.